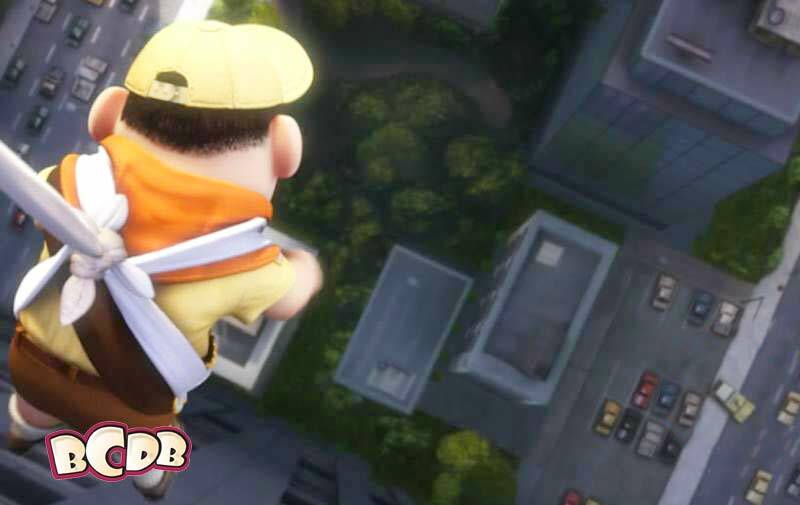 We head back to a more contemporary time frame with the Pixar film with the shortest title, Up. Up also features the smallest cast of any Pixar film to date. The films director, Pete Docter, does the voice for Kevin,and co-director Bob Peterson voices Dug the dog. 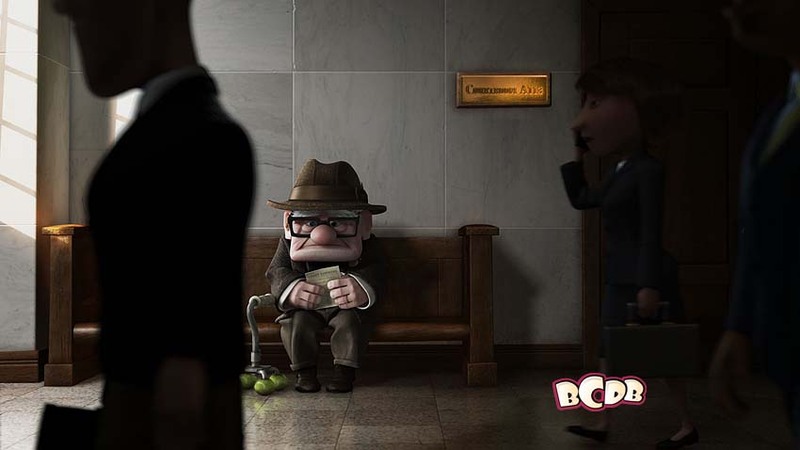 While Carl is waiting, you can see the A-113 on the courtroom sign on his right, up the wall. 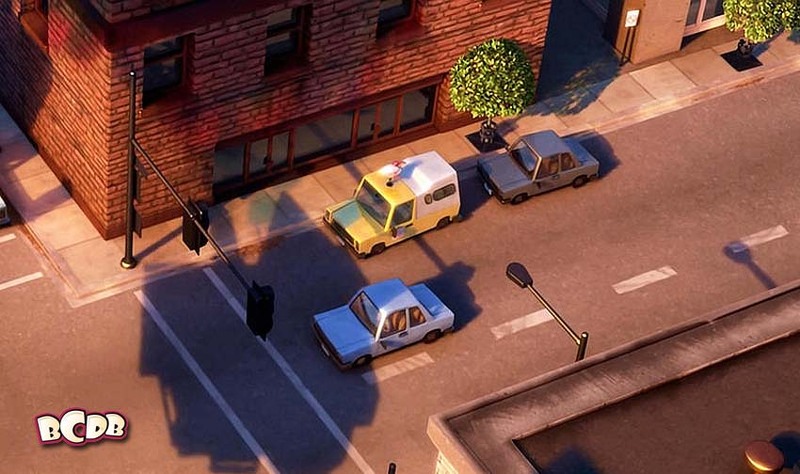 The pizza truck makes a couple appearances, a couple near the beginning and one near the very end. You also see him pulling into a parking lot below Russell when Carl lowers him out the window. 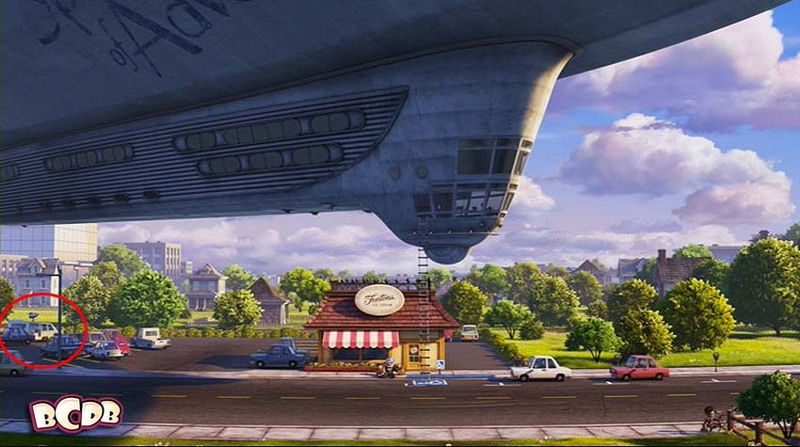 As Carl’s house passes the window washer, you can see the Planet Pizza truck parked at the curb on the upper right; he is probably delivering! The next time we see the truck is in the parking lot of the Fenton Ice Cream store… look to the left! 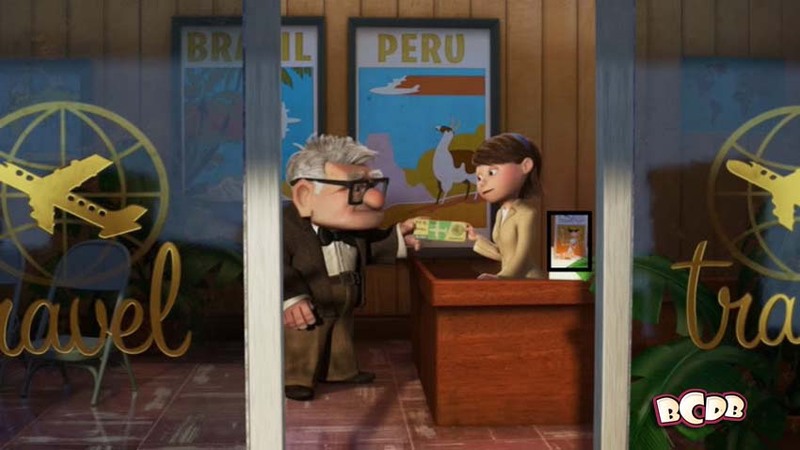 When Carl goes to the travel agent, the brochures on the counter features the mermaid Sunny Miami from the Pixar short Knick Knack. 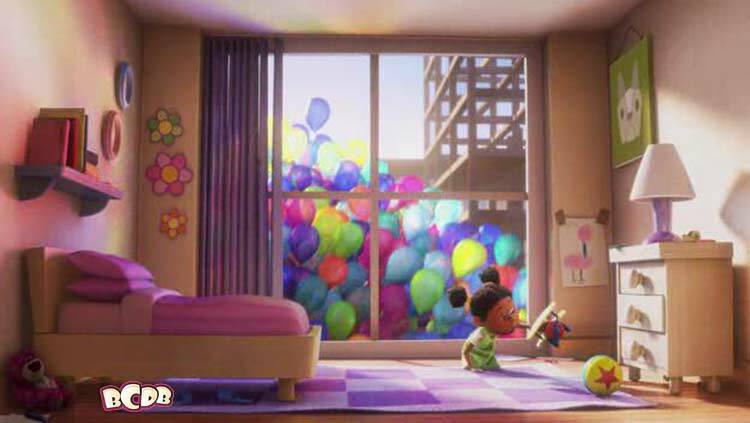 When the girl see’s Carl’s house float by, we can see the Luxo ball and Lotso from Toy Story 3 in her room. The girl could also be one of the girls in the nursery school in Toy Story 3, too. There are a few dog jokes in the film. One is a sight gag of a few dogs sitting around a table playing poker, which is reminiscent of an infamous bad painting of Dogs playing poker. A second happens when the dogs are checking their communications equipment. One of the dogs says, “Gray leader, checking in” in the same manner of the Rebels attacking the Death Star from Star Wars. Up is the second animated movie to be nominated for the Best Picture Academy Award, not just Best Animated Feature. (the first was Disney’s Beauty and the Beast). John Ratzenberger makes his appearance in this film as the construction foreman who confronts Carl at his house.